This post is sponsored by Fin Fun Mermaid Tails. My 10 year old daughter is obsessed with mermaids. She has been since she was a toddler. I thought maybe she'd grow out of it but still today her goal in life is to be a mermaid. 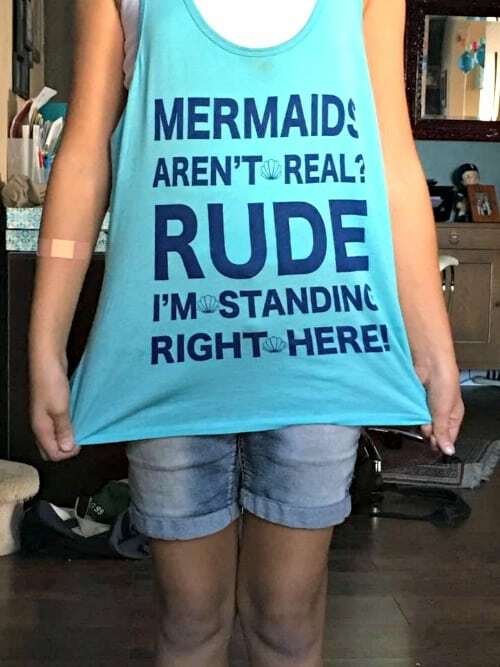 Thanks to Fin Fun Mermaid Tails, I can almost make her dream come true! 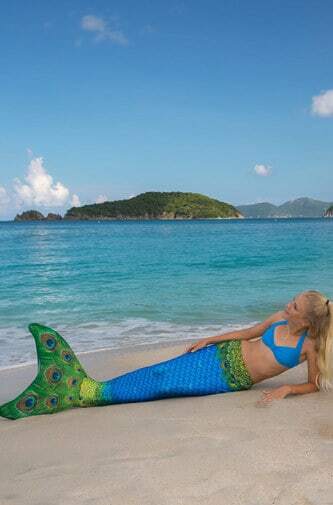 The Fin Fun Mermaid Tail is wearable fin and tail that makes you swim like a mermaid. My daughter received one a few years ago for her birthday and she wore it out! The tail is for experienced swimmers. My daughter competes in swimming and synchronized swimming so I trust that she can use the tail (and she does). You don't need to have a mermaid who does all that, but she should know how to swim. There are 2 parts to the Fin Fun Mermaid Tail, and you'll need both. First, choose the tail. This is the fun part! 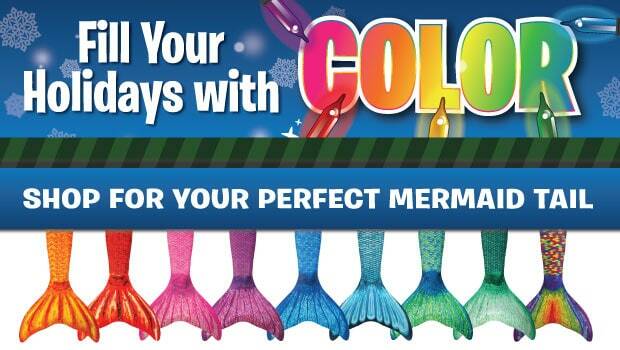 Fin Fun offers an amazing selection of high-quality mermaid tail designs. The Fin Fun Mermaidens collection features tails based on the beloved Mermaiden Princess characters, each with a unique personality and story, which can be found on the kid-friendly FinFriends.com site. The Limited Edition collection combines fantasy with nature's beauty in spectacular designs that have a shimmery, shiny look and feel. In order to use the tail to swim in the water, you will also need the patented Fin Fun Monofin (available for separate purchase). The Monofin provides natural mermaid motion for smooth swimming at the pool, lake or beach. Feet are not strapped in, making removal of the Monofin easy, with just one tug and a kick. The open tail bottom makes it easy to insert and remove the Monofin (required for swimming), while also avoiding trapped air and allowing mermaids to walk on land. Check out our mermaid tails for sale at www.finfunmermaid.com to order yours today! Use code USFAMILY16 to save $5 Off Any Order!